Innovative curriculum will arm graduate students with critical tools for modern science. An interdisciplinary program will train graduate students in data science to tackle issues related to food, energy and water. For the future of the planet, there are few research subjects more important than the global supplies of food, water and energy. To comprehensively study, understand and inform policy around these complex systems, the next generation of researchers in the physical, social and biological sciences will need fluency with data analysis methods that transverse traditional academic boundaries. A new interdisciplinary curriculum will train graduate students from geosciences, economics, computer science, public policy and other programs in computational and data science techniques critical for modern science. With a $3 million award from the National Science Foundation, the new research traineeship grant will combine expertise from across UChicago and Argonne National Laboratory in computing, statistics, social science, climate and agriculture. As Earth’s population rises in the coming years, demand for food, energy and water is expected to soar. The global scale and interdependence of these sectors—where increased agriculture decreases freshwater supplies, while both are affected by the environmental impact of accelerating energy production—necessitates research collaboration across fields. Improved data collection and modeling on these topics creates promising opportunities for understanding their complexities, but only if analyzed with the right computational methods. The program will produce students with a foundation in a discipline such as geosciences, economics or public policy, as well as the computational skills and breadth of multidisciplinary knowledge to tackle complex questions in food, energy and water. A three-year curriculum including boot camps, retreats, new courses and practicum projects will give each student experience working with data science methods and scientists from fields other than their own. Additional training in scientific communication and professional development, as well as opportunities for international research experience with the Potsdam Institute for Climate Impact Research and the African Institute for Mathematical Sciences, will further prepare students for research careers in this area. As part of the curriculum, students will receive introductions to computing in the social sciences and geosciences, spatial statistics and imagery analysis, geographic information systems (GIS), data science fundamentals, time series analysis and environmental economics. A general course on the food/energy/water system, drawn from existing courses for interdisciplinary audiences taught by Moyer and Cristina Negri, environmental engineer at Argonne and fellow of the Institute for Molecular Engineering, will be followed by a data analysis practicum where groups of students work with real data and organizations in government and industry. 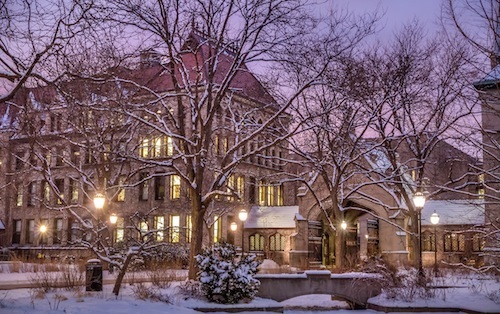 The program will build upon successful UChicago training initiatives such as the Executive Program in Applied Data Analytics, the Computational Analysis and Public Policy curriculum at the Harris School of Public Policy and the Data Science for Social Good Summer Fellowship. 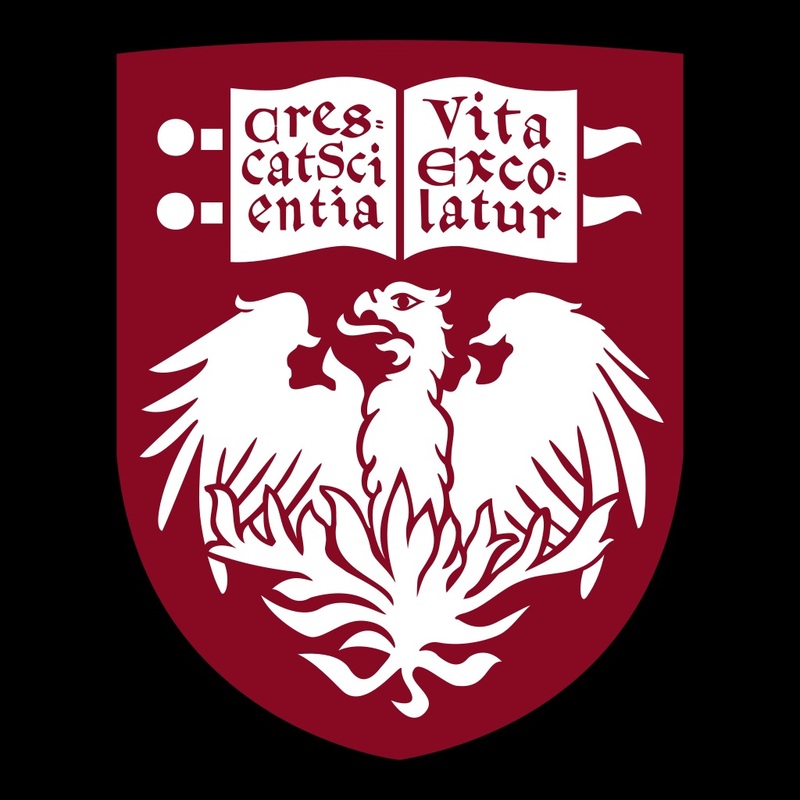 nstruction and mentorship will be provided by several UChicago research groups, including the Center for Robust Decision-Making on Climate and Energy Policy (climate and agricultural modeling), Knowledge Lab (text mining), the Energy Policy Institute at UChicago (environmental and energy economics), the Center for Data Science and Public Policy (data analytics and project management) and the Center for Spatial Data Science (spatial analysis). High-performance computing resources and tutorials will be provided by the Research Computing Center. In addition to Moyer, Kellogg and Franklin, additional investigators on the award include Joshua Elliott, Computation Institute fellow and research scientist, and Ian Foster, the Arthur Holly Compton Distinguished Service Professor of Computer Science and Argonne Distinguished Fellow. The program will start in the 2018-19 academic year. Further information will be available in the upcoming academic year for those interested in applying.